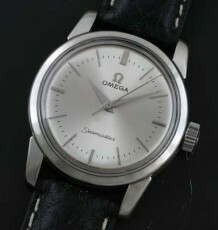 Vintage Omega Seamaster with the Omega caliber 500 automatic movement. 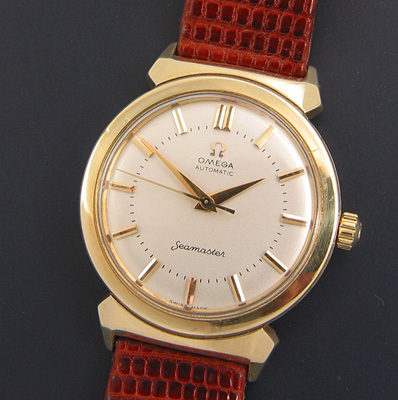 A vintage Omega Seamaster with an exotic case similar to the Omega Grand Luxe Constellation. 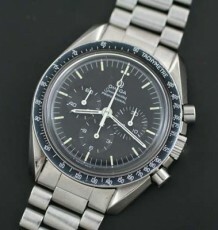 This is one of the highly sought after models with the thick horned lugs and flat wide bezel around the crystal. The white restored dial features raised pyramid hour stick markers and the gold colored dauphine hands from the 1950’s are still fitted to the watch. The gold capped stainless steel case, carrying a reference number 14363-3SC measures 34.5 mm wide by 43.5 mm long. 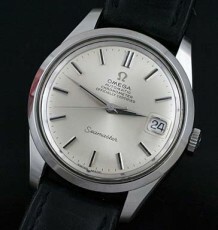 The Omega full rotor automatic caliber 500 carries a serial number in the 15.8 million range dating it to 1957. The watch was just fully serviced and is keeping excellent time. 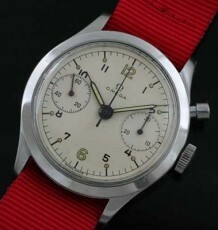 The will be supplied on the buyer’s choice of black or brown leather straps.